Season in Review: Entering the 2013 season ranked 16th in the system, Wilson was looking to follow up a solid 2012 campaign which saw him convert from a starter to a full-time reliever. 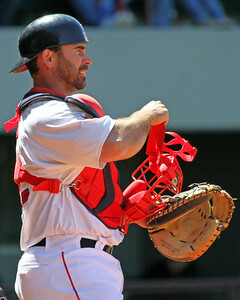 Wilson received the call to Boston in early April and made his major league debut on the 11th against Baltimore. The right-hander enjoyed the early part of the season in Boston, posting a 2.50 ERA in 18 innings over 16 appearances, striking out 15 and walking nine. Returning to Pawtucket at the end of May, Wilson had an impressive start to June in Triple-A, compiling a 1.35 ERA in six outings. After less than two weeks back in Pawtucket, then shuttling up-and-down for one appearance each in Boston and Pawtucket, Wilson got his second lengthy shot in the majors, which did not go nearly as smoothly. He allowed nine earned runs in seven innings and allowed six of eight inherited runners to score as well. The rest of his season was essentially lost to injury—he went on the DL on July 9 with a thumb injury, and had one rehab stint in Pawtucket last four games before he re-aggravated the injury. 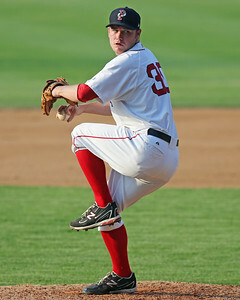 He recovered in time to make five appearances at the end of the year for the PawSox, including playoffs.